One of the largest users of automation in the world is the car manufacturing industry. Introduced most significantly in the 1970s the process uses robotics to build cars and complete repetitive tasks in the manufacturing process reducing line ups in production and increasing quality. However, the industry has moved beyond just welding and painting for robots and they now perform tasks such as delivery and placement of heavy pieces and final quality inspection. They are also able to pull important information from these robotics to predict and plan for better efficiency in the future. From travel reservation systems, to airport check ins, automation has completely transformed the travel industry. No more are the days of waiting to book an appointment at your local travel agent. Through fast and secure systems that allow you to book everything from your flight to your car rental and special requests for your hotel room online travel booking can be done easily from your location of choice. In the medical industry robotics have helped to transport medical supplies, perform duties within the hospital, monitor patient health and more. There has even been an eye surgery completed by a robot to help ensure the delicate surgery is completed with the most accuracy possible. Through the use of robots, many welding companies have found that projects can be completely much more quickly, with increased accuracy and with muh less wasted materials. Although human involvement is still required to fuse certain pieces together, companies are able to increase their workflow and take on larger projects when they use robotic process in their shops. 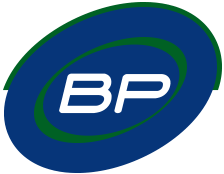 To learn more about a company that uses robotic welding processes here in Edmonton, AB you can visit BP Precision. In the food processing industry, especially fast food service businesses the rise in material costs and minimum wages have seen increased use of robots being used to make food and have it ready to provide that ideal experience to all customers. After all in the fast food industry, consistency and speed are two of their main factors when it comes to food delivery. Dominos Pizza uses drones, GPS tracking systems, and even robotics to provide customer service within their business to help deliver and produce their pizza. Domino’s has a website to show of their innovative technology they are involved in. They have said they also consider themselves a technology leader in the food and beverage industry in addition to providing great food for their customers. Security is a huge factor when it comes to software, control systems, and internal business processes. Maintaining the security of these systems can be a huge tasks for companies as they must have the ability to detection that helps to identify cyber attacks and malware cyber attacks on their networks. With the use of robotics and automation systems, security can consistently take place to ensure that all important and sensitive data is kept secure. When it comes to automation what about employment issues? One of the largest concerns by many is that automation is taking away employment. This is actually far from the truth in the fact that it takes away from low skilled tasks and allow humans to work on highly skilled and tasks that require human thought and innovation.